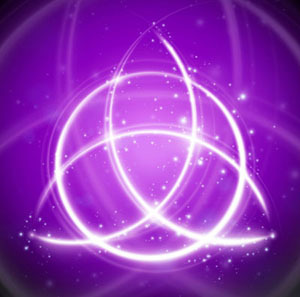 Psychics in the Cities-What is the Power of Three? What is the Power of Three? When someone visits a psychic for a reading, they are dependent on that psychic’s particular mode of receiving information and on their interpretation of that information. With two or more psychics giving the reading, however, the client benefits from several very different perspectives. While each of the psychics often receive the same information, their interpretation will be slightly different and the reading therefore more comprehensive. For example: Imagine a group of three people looking at a beautiful landscape. All see the same overall picture. However, each focuses on a different part of the scene. One may see billowy white clouds against a brilliant blue sky; another may notice the birds and other creatures that inhabit the landscape; while the third may see a bit of both, or be able to sense the warm breezes or smell the blossoms growing in the grass. One may describe the colors, another the repeating patterns of nature, another the metaphorical meaning attached to the scene. Each sees the same landscape, but describes it from a different perspective. When all of this information is combined, a more complete picture of the landscape is formed. In the same way, by invoking the Power of Three, the ladies are able to help a client form a more meaningful picture of the messages Spirit intends for them.